Photo Booth Dallas is excited to part of the new http://www.slpsdfw.com/ open house on Febuarry 27th 2016. The new venue is located in Irving Texas at SLPS 1910 North Britain Road Irving, Texas 75061. 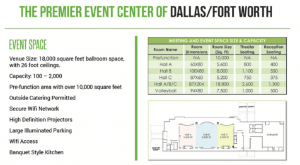 It boasts a near 18,000 square feet ballroom space and many different rooms which we are really excited to see.